The term 4/20 means many thing to different people. To a few it's Hitlers birthday, but to the rest of the world, it's a celebration of smoking ganga. 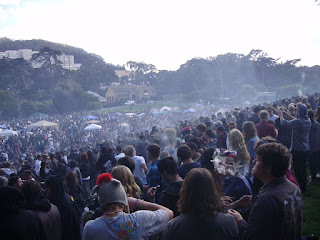 Last year I went to one of the US largest 4/20 celebrations at San Francisco's Hippie Hill in Golden Gate Park. This event is huge, thousand of people flock to this spot to smoke ganga in peace at this historic site, plus its only a $100.00 ticket, if you get caught, which would be pretty hard in San Francisco, the bums smoke ganga in the streets. 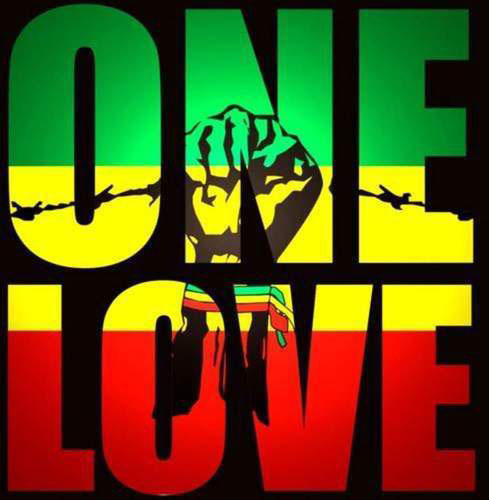 Every year also in the park during the event there is a free show, in 2008 Damian Marley preformed. If you want to shell out a couple of bucks, Erykah Badu is playing in Oakland somewhere. Any part of this state, north or south, there will be some kind of 4/20 party or show going on. You got to love this state. At 4:20pm, Hippie Hill becomes the biggest smoke cloud I've ever seen. Look if you smoke ganga, never been to Cali, then you need to hit this spot up. The most peaceful event in the states. We will see you out there, look for us.We out here.